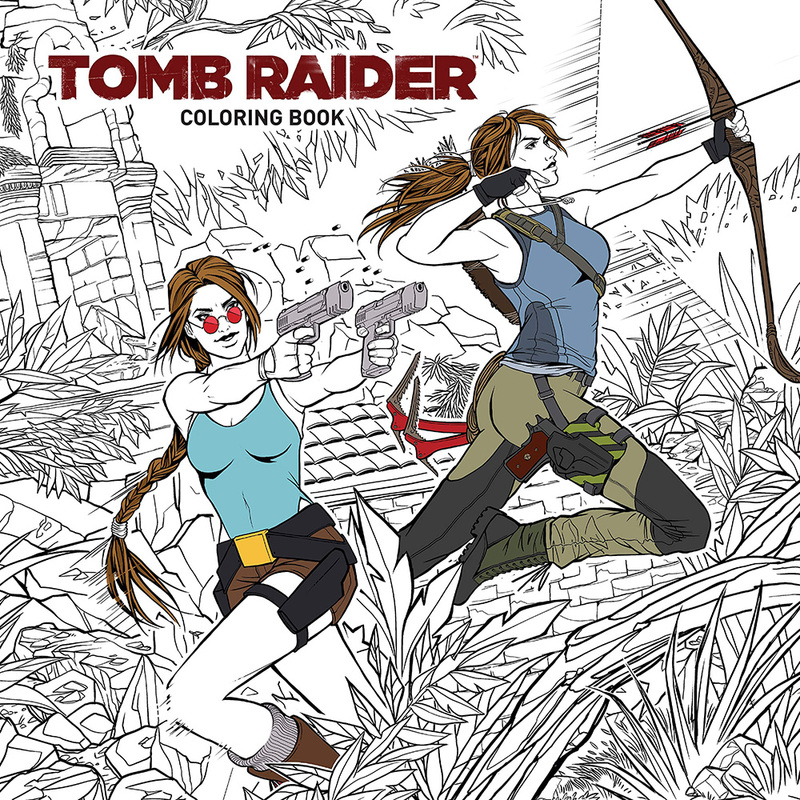 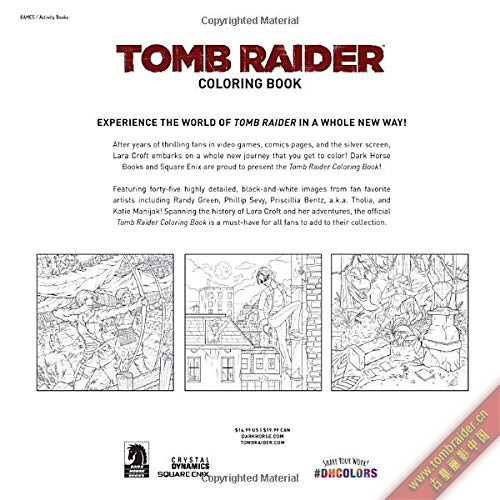 After years of thrilling fans in video games, comics pages, and the silver screen, now join Lara Croft on a whole new adventure that you get to color! 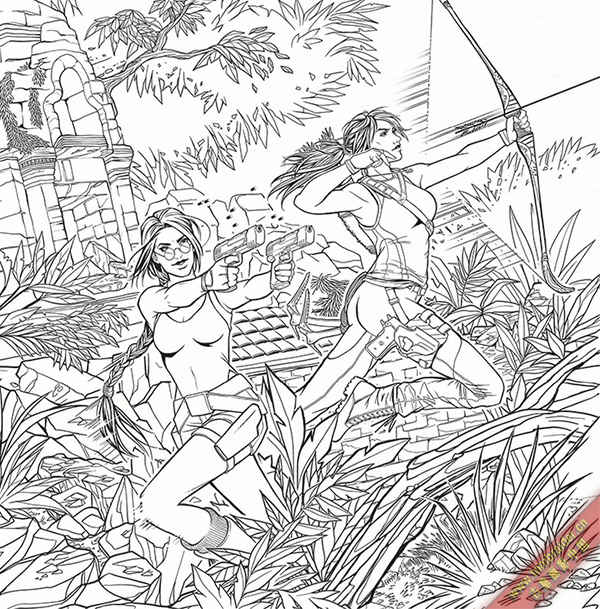 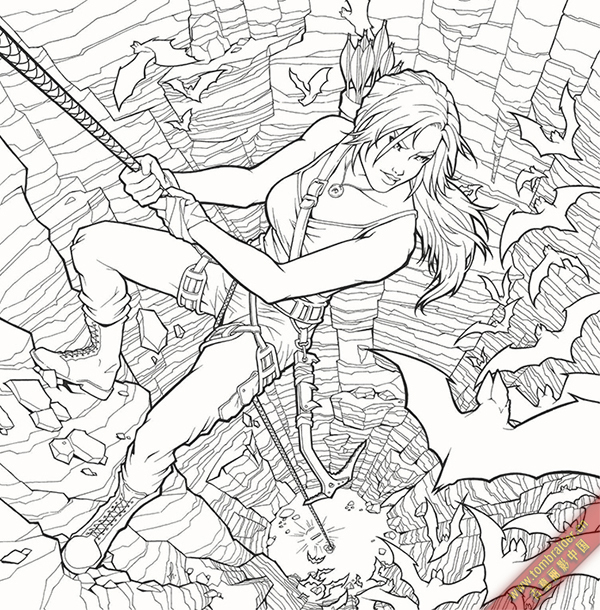 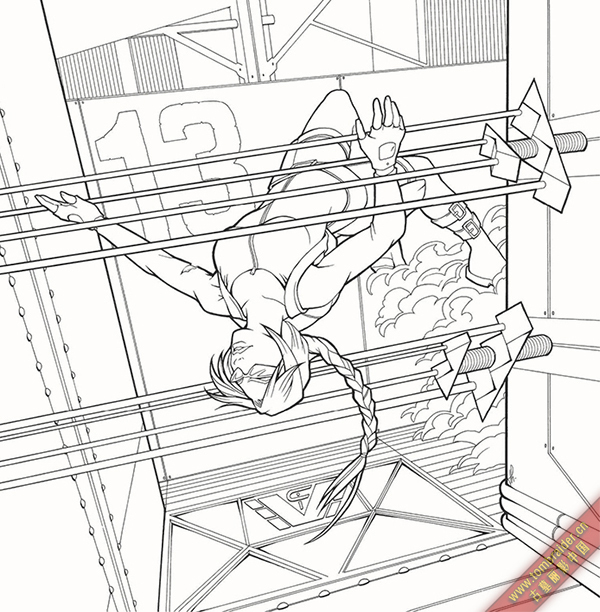 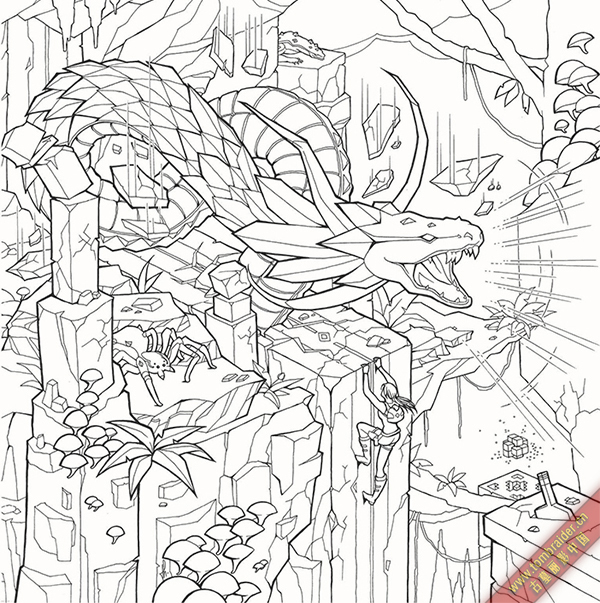 Featuring forty-five highly detailed black-and-white images from fan favorite artists spanning the history of Lara Croft, the official Tomb Raider Coloring Book is a must-have for all fans to add to their collection. 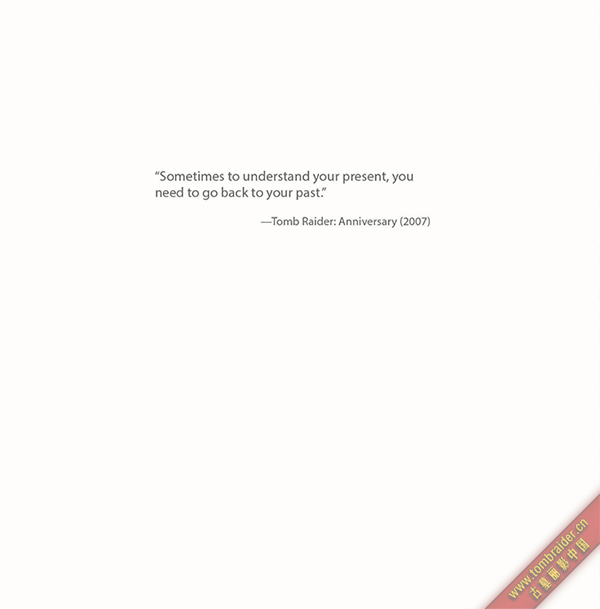 Format: b&w, 96 pages; TPB; 10" x 10"